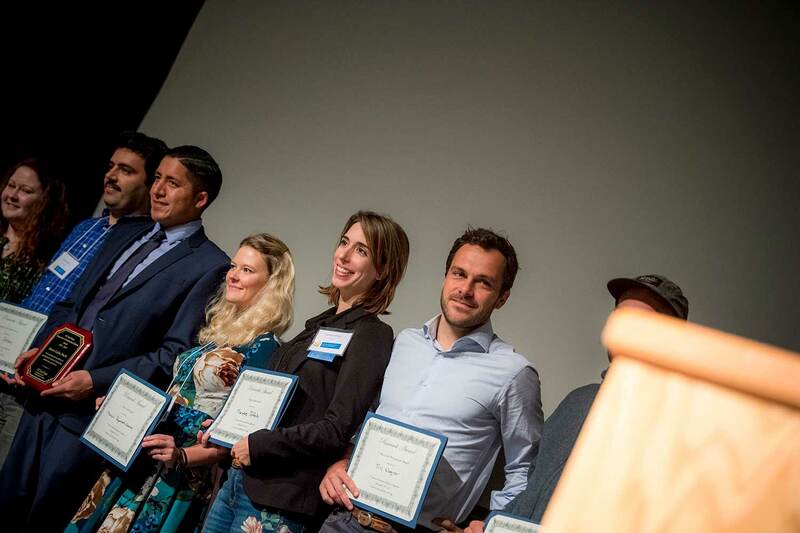 Each year since 2012, the Chancellor’s Award for Excellence in Postdoctoral Scholar Mentoring and for Outstanding Postdoctoral Scholar are given in recognition of the scholars and mentors who contribute to making UC San Diego one of the top research institutions in the nation. The award was developed by the Office of Postdoctoral and Visiting Scholar Affairs to encourage the campus community to recognize and appreciate postdocs and their contribution to UC San Diego's research and education missions and to acknowledge the faculty mentors who support the success of postdoctoral scholars. This year’s award recipients were honored during an appreciation luncheon event Nov. 29. Chancellor Pradeep K. Khosla offered his remarks, emphasizing the importance of support within the postdoctoral scholar community. Gene Yeo, professor of cellular and molecular medicine, keynotes the Annual Postdoc Appreciation Luncheon and Awards Ceremony. Among those recognized during the luncheon were faculty mentors celebrated for serving as effective advisors, advocates, role models and colleagues to their postdoctoral trainees. Christina Chambers, a professor of pediatrics at UC San Diego's School of Medicine, said that she realized the importance of mentorship in the early stages of her professional and academic career. 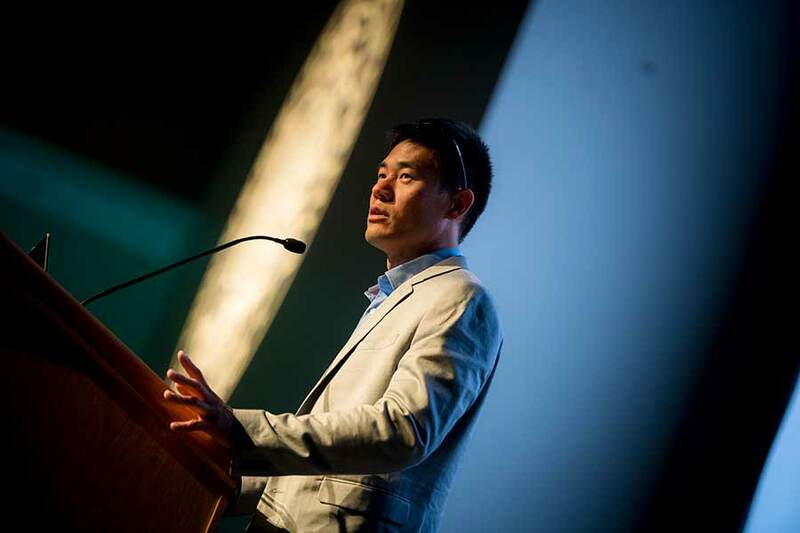 Gene Yeo, professor of cellular and molecular medicine, offered encouraging words to the more than 200 postdoctoral scholars in the audience as well as and mentor and postdoctoral scholar awardees in his keynote address. 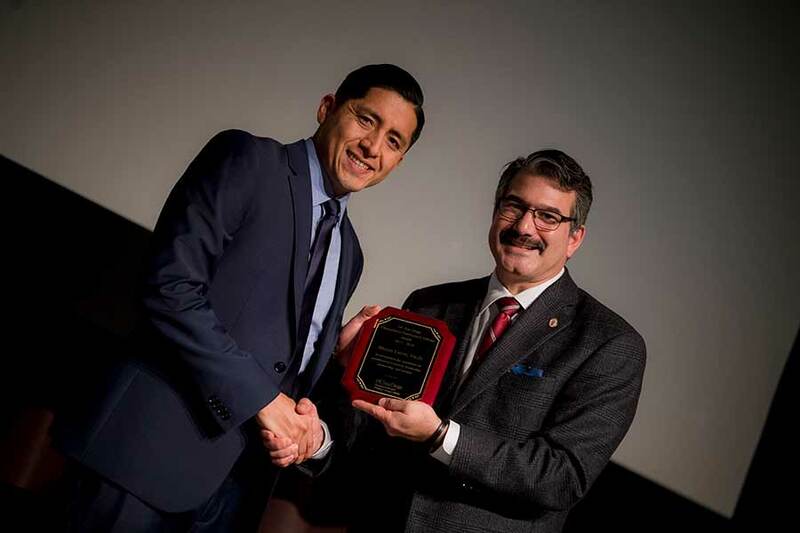 Brian León (left) receiving the Chancellor's Award for Outstanding Postdoctoral Scholar from Mark Lawson, Director for the UC President Postdoctoral Program and Faculty Director for Postdoctoral Education and Training at UC San Diego. Brian León, of the Department of Chemistry & Biochemistry, was one of the awardees of the Postdoctoral Scholar Award. León’s research is focused on the use of natural products in therapeutics. He credits his mentors to playing an integral role at every stage of his academic journey, starting with his undergraduate experience at UC Irvine, graduate education at UC Santa Cruz and with his postdoctoral experience at UC San Diego, securing his role as a UC Chancellor's Postdoctoral Fellow. The Postdoc Appreciation Luncheon and Awards Ceremony marked the conclusion of the daylong Annual Postdoc Research Symposium, organized by the Postdoctoral Association. It featured sampled research projects from 25 different departments, earning several participants recognition following the Chancellor’s Awards. Mark Lawson, the Director for the UC President Postdoctoral Program and Faculty Director for Postdoctoral Education and Training at UC San Diego, gave his congratulatory remarks to the awardees. To learn more about the Office Of Postdoctoral & Visiting Scholar Affairs, visit: postdoc.ucsd.edu.